For her work as Louise in Seasons 1 and 2, L.A. WebFest awarded CHRISTINE COOK -Outstanding Lead Actress in a Comedy. MORGAN HALLETT has appeared on Broadway: Translations (dir. Garry Hynes), Long Day’s Journey into Night (dir.Robert Falls). Off Broadway: When The Rain Stops Falling (Lincoln Center), Rebel Voices (Culture Project). Regional: Quartermaine’s Terms (Williamstown Theatre Festival), Translations (McCarter Theatre Center), She holds an MFA from The National Theatre Conservatory. She is represented by Professional Artists. JENNIFER SKLIAS-GAHAN is having a blast playing Ava- the show’s egomaniac with an inferiority complex. DANUSIA TREVINO is an author of the award winning and critically acclaimed play Wonder Bread. She has worked in theater with such renowned directors as Anne Bogart, Antony Hegarty, Austin Pendelton, Aleksey Burago and Krzysztof Garbaczewski. Film: Where is Joel Baum ( Denver Starz Film Festival ) Acts of Worship (Sundance). A stay-at-home humorist, ANN IMIG began inflicting herself upon your internet in 2008. Her award-winning writing appears on numerous sites including McSweeney’s Internet Tendency and College Humor. Ann created the live-reading series LISTEN TO YOUR MOTHER, "Giving Motherhood a Microphone" and creating a national movement, social media phenomenon, and anthology coming from Amy Einhorn Books in 2015. In 2012 Ann appeared in Hulu's original series Battleground. SHARI SIMPSON Oh! You want to know more about me? Really? That’s awfully swell of you. I’m Shari and I’m a chronic Fabulous-chaser. Once I even confessed out loud that I wished I had Type A+ blood because A just wasn’t good enough. If you want to know my official credentials as a freelance writer, check out the Work With Me section of this blog. That’s the Professional Me. The Dusty Me loves God, my church, my family, Mama Rose, kissing pugs on the mouth, Twizzler Pull’n'Peels, knitting, all things caffeine, and making a horse’s arse of myself on YouTube. JAY PATTERSON has worked on Broadway: K2 ( Outer Critic's Circle Nom. ) Inherit The Wind, Off Broadway: Of Mice And Men , The Tempest ( Roundabout ) Early One Enening At The Rainbow Bar And Grill ( W.P.A. ) Domino ( New York Theatre Workshop ) Love Goes To Press , John Ferguson ( Mint ) on TV: Law And Order, ( Numerous ) Blue Bloods and in 40+ feature films. 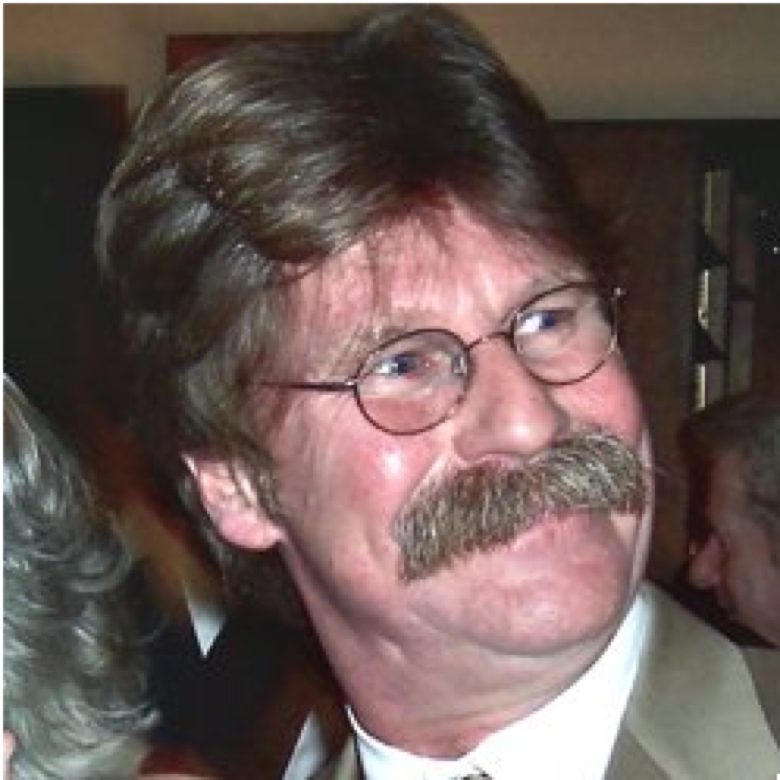 WAYNE MAUGANS has worked extensively as an actor in film, television, and theater. He is the founding artistic director of Voyage Theater Company. Visit www.waynemaugans.com for more info. SNEZHANA CHERNOVA is a graduate of the St. Petersburg Academy of Theater Arts in Russia. In New York she studied with Uta Hagen. She has appeared widely in theatre (The Uncle’s Dream, Desire Under the Elms and others) and at the Metropolitan Opera (The Nose and Boris Godunov) as well as on film/TV (Love in The Big City and others). Currently she teaches Stanislavski Technique at HB Studio. TOM TINELLI (Professional Sound Guy) has performed in productions throughout New York, New Jersey, and Pennsylvania spanning more than 20 years. 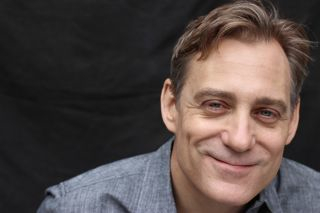 Along with appearing in multiple episodes of The Louise Log, Tom’s most recent performance was in David Rimmer’s “New York” at the Hudson Guild Theatre in New York City. Mother of 3, RN, massage therapist, owner of Cafe Loup and a "jack of all kinds of performance trades". SOPHIA REMOLDE is a Lobsterbird. She is also a theater, film, dance, and puppetry artist based in Brooklyn, NY. Sophia is Associate Director of Puppet Junction Productions, Co-Creator of The Night Bears, and is currently working with scientists on a large-scale dance piece with flying quadrotor robots. After thirty years of international success hiding behind a microphone, LEER LEARY has stepped out in front of the camera and is honoured to be associated with this cast and crew. Hi – I’m now almost 12 - still here in the Village with Mom and Dad. Favorite academic: Math, & fun thing: my friends, Minecraft. Louise Logs was the most fun when we tore the pillow open and threw feathers all over the room for one of our scenes, and when we threw toys out of the window. BRUNO ZERO is an 11 year-old from Brooklyn. He enjoys reading, art, graphic design, and acting. He has done a little performing in elementary school and summer camp. Bruno hopes to be an author when he grows up. He currently studies Creative Writing and Journalism at Mark Twain Intermediate School for the Gifted and Talented. His favorite writer is Neil Gaiman. He is really happy to be part of the Louise Log. CATHERINE SIRACUSA has worked extensively in NY as an actor, director and costume designer at HB Playwrights, Abingdon Theatre Co, American Globe-Turnip Festival, MITF, LaMaMa E.T.C. and the Workshop Theatre Co.
JESSE EPSTEIN is a Sundance award-winning documentary film director, she received an MA in film from New York University. She was selected for “25 New Faces of Independent Film” by Filmmaker Magazine, and is the editor of the Shooting People, Inc. NY Filmmaker’s Network. In addition to making documentary films she is passionate about acting. KITTY CAVALIER, founder of Kitty Cavalier’s School of Charm and Cheek, is known for bringing mischief to the masses in her signature burlesque shows and workshops. A sizzling starlet, tantalizing performer and gifted teacher, Kitty Cavalier is your go-to girl for celebrating the seductress within. MATHILDE DRATWA’S homeland produces the world’s finest chocolate. Which explains a lot. When she isn’t eating chocolate, Mathilde works as an actor and teaching artist in NYC. PASCAL YEN-PFISTER is an Actor, Renaissance man (painter, musician, writer, martial artist). Since starting acting in late 2009, he has shot over 200 films. Currently in post-production for his first film as writer/director/producer/actor (a short film called: "This is fucked up") He can be seen now on television in a Fleischmann bread commercial and in the H&M video with Lana Del Ray. Mr.Stone offered me $100.00 to be in his commercial and here I am. Dancing across the screen in A Fish in the Bathtub, Heart beat, various commercials, Law and Order and print work. It was fun and interesting working with Anne and the crew. Lunch was also very interesting. SO ONWARD AND UPWARD.